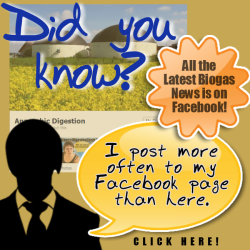 Farm Methane is a whole new subject in the US, especially in California. 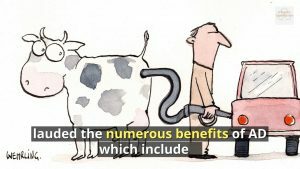 Renewable energy supporters would like to repeat the success of the pioneering dairy farm manure methane digesters in the US, especially California with its supportive state policies. That’s because the methane from cow manure is being turned into electricity, and a natural gas replacement in farm methane digesters. This holds great potential to help ameliorate (reduce) the worst effects of climate change. It’s renewable energy, and dairy farm methane production from farm agricultural waste, such as manure, is being used. But also, there are many other organic waste sources of farms which have scarcely been tapped at all for energy. 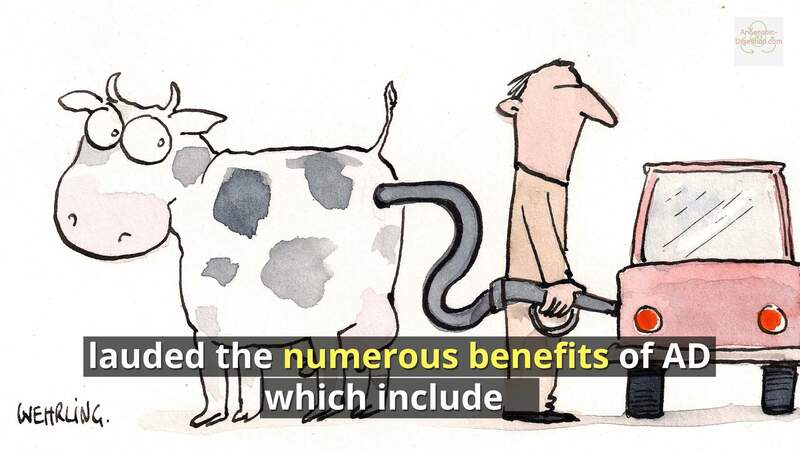 The feedstocks used for methane gas from cows used for energy, include waste whey from milk product manufacture, and crop residues left-over after the food has been harvested from it. Watch the video below, which we made about this subject. For a change we used an animation format. Please comment on this new cartoon style. Did it improve your experience or not? Thanks for commenting! Find out More at the Sustainable Conservation website here. Watch this (Cow Power!) video on YouTube here. An aerial view of Tamar’s Basingstoke plant which has capacity to process up to 40,000 tonnes of food waste per annum. 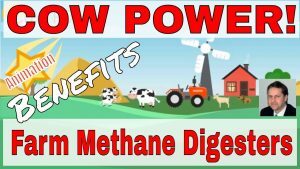 Farm methane is a renewable energy source because it is a natural byproduct of animal manure. Animal manure if left to decompose will contribute carbon dioxide to the atmosphere within a short period and be recycled as part of the “carbon cycle” of all natural materials which grow and absorb carbon. Decomposition will occur naturally whereby the carbon continuously rotates through plant material and back again into the global atmosphere. Interposing a farm methane digester simply redirects the sun’s energy, which is held for a short period in the plant biomass, so that it can be used by man. 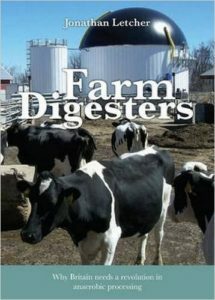 The primary types of farm digesters are covered lagoon digesters, complete mix digesters for slurry manure, plug-flow digesters for dairy manure, and dry digesters for slurry manure and crop residues. In the US, including California, the most common commercial farm digesters are usually large circular concrete or steel tanks with heavy plastic membrane covers. 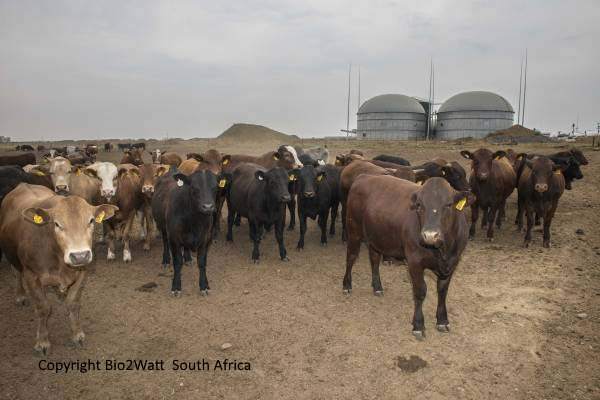 Some on-farm “Cow Power” digesters can also accept outside food waste as a feedstock. 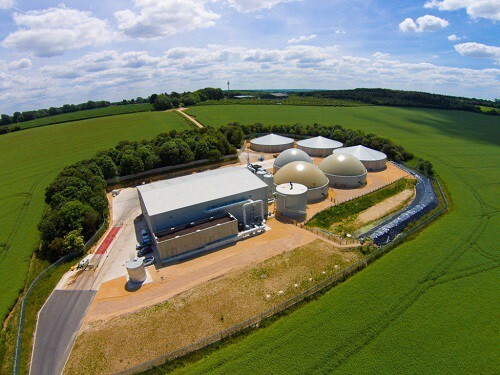 And, it is a fact that in general on-farm methane digesters can divert waste from landfills, provide a high quality fertiliser, improve soil quality, greatly reduce untreated farm waste, reduce the risk of watercourse pollution, and create renewable energy. Global experience of Cow Power has long-since shown that farm digesters can be operated highly satisfactorily, by applying training and operational best practice, and have a very useful role on the farm. Community and multiple farm digesters are a convenient alternative for farm owners whose dairy operations are too small to install an individual digester. By forming co-operatives groups of local farmers can join together to build and operate an AD plant which will provide income from product sales, and return to them a soil-improving fertiliser mix of both liquid and fibrous materials. Some UK biogas plant operators have reported that using their digestate as fertiliser was saving them 30% on their previous bought-in chemical fertiliser costs. That can be an amount saved in excess of $100,000 each year. We hope that you found our “5 Things You should Know” useful reading. The 2015 Aliso Canyon natural gas leak outside of Los Angeles was the largest in US history in terms of its environmental impact. An estimated 97,100 tonnes of methane 7,300 tonnes of ethane were released into the atmosphere. SoCalGas, which operates the Aliso Canyon natural gas storage facility, was required to mitigate the climate impacts of the leak by funding projects that reduce methane emissions by an equivalent amount. And now, some experts think dairy cows could be the answer for such mitigation. State and local officials reached a $119.5 million settlement with the Southern California Gas Company on Wednesday to mitigate climate impacts and address ongoing health concerns from the Aliso Canyon gas leak. That’s the same amount that was released over several months following the Aliso Canyon gas leak. Cows may be a critical component of all dairy operations, but for one California farm, they’re also the primary energy supplier. Straus Family Creamery in Marin County, California, transforms cow manure into electricity, turning one of its waste products into renewable energy. At standard dairy operations, cow manure releases methane, a greenhouse gas that’s 30 times more potent than carbon dioxide as it breaks down. Rather than releasing this gas into the atmosphere, dairy owner Albert Straus works to capture it and transform it into a versatile power source. This isn’t a new development for the dairy. 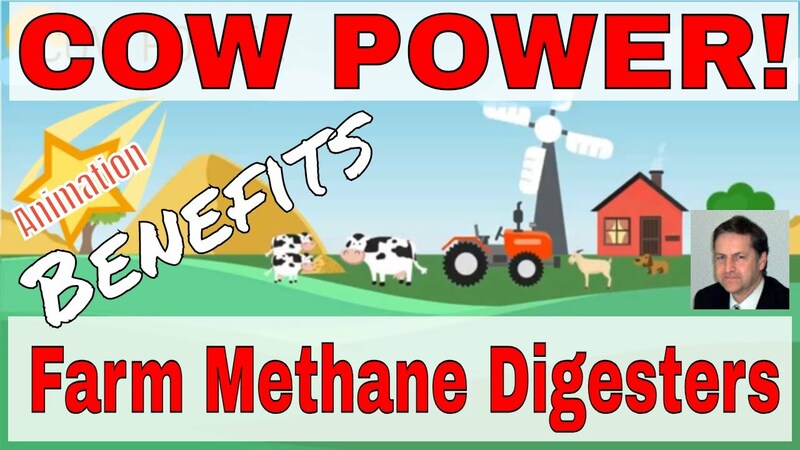 With the help of a methane digester, Straus has been generating electricity from manure for over 14 years, and he produces enough to power his entire farm. Dried dung has lost its objectionable oudor. Even in North America people are making use of the energy stored in cow dung, although this is usually done indirectly by making biogas from the dung.